Up to ten Presidential hopefuls are expected to make their case to Clare County Council today. 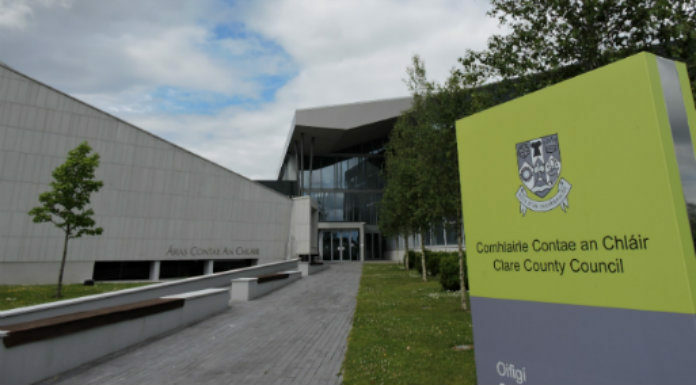 Potential nominees have been touring the country in an attempt to secure the backing of the required four councils to enter the race for the Áras, and today they’re due to make their cases before Clare County Council. The race for the Áras comes to Clare today, as those who wish to takeover from Michael D. Higgins make their cases in Clare. They’ll hope that Clare County Council will give them their backing, as they look for the nominations of four local authorities to get on the ballot paper. Today will see at least nine, but possibly ten, make their cases here in Clare. Senator Joan Freeman, who’s received the backing of Cork City Council, will be among them, as will businessman Gavin Duffy, who’s secured the support of Meath County Council. Sean Gallagher is expected to attend, along with fello Dragon Peter Casey, Kevin Sharkey, Marie Goretti Moylan, John Groarke, Gemma O Doherty and Sarah Louise Mulligan have all written to the Council seeking a nomination. The Council is seeking full details on this individual, who has written to other Councils outlining policies that include a commitment to go to 10 Downing Street and ask for the retun of the six counties of Northern Ireland. No vote will be taken today at today’s special meeting, as a formal decision must be made at an ordinary meeting of the Council.